Are you struggling to keep your commercial kitchen floors clean? Are grease, oil and liquid spills leading to health hazards in your food service business? If so, it may be time to consider kitchen mats. 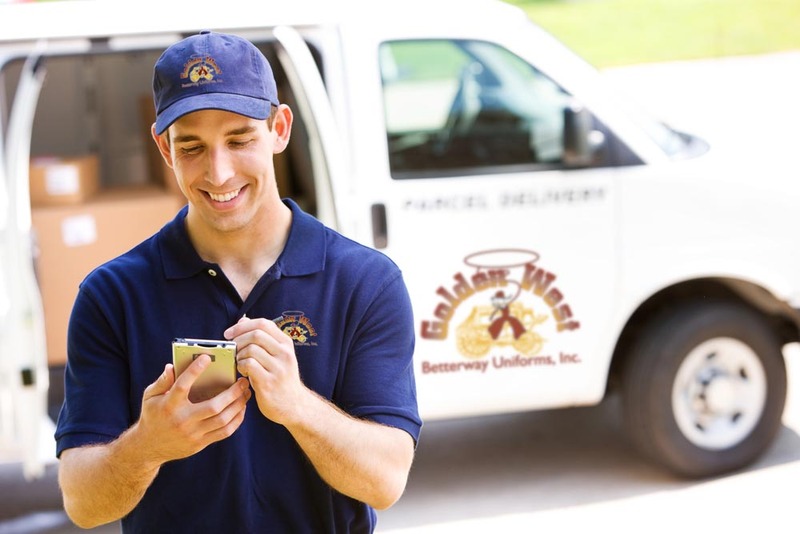 They can help you keep your floors clean and also protect your business from the possibility of a slip-and-fall lawsuit. All of our Golden West kitchen mats are fully launderable and constructed of 100% nitrile rubber for superior grease and oil resistance. Our kitchen mats have beveled edges for increased safety, which meets the strict standards set by the Americans with Disabilities Act. Plus, the slip-resistant surface of our kitchen mats reduces the possibility of slip-and-fall accidents occuring in your commercial kitchen, which protects you from the possibility of a costly lawsuit. 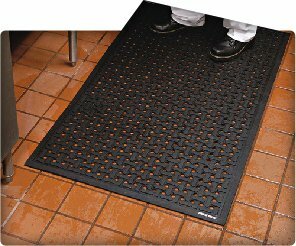 You can use our versatile kitchen mats in commercial kitchens, walk-in freezers, food processing areas, behind bars and in any other locations where liquid flow-through is required. Contact Us for a Free Quote on Weekly Rental Mats! You won’t need to stress over the purchasing, maintenance or replacement of your kitchen mats when you work with Golden West Betterway Uniforms! Our kitchen mats rental program is simple and direct, which allows you the time and energy that you need to run your business instead of managing your floor mat plan. Looking for more than just kitchen mats? We provide a wide variety of sizes and styles of mats for every corner of your business! Our message mats, scraper mats, logo mats, anti-fatigue mats and carpet décor mats can fill all of your commercial floor mat needs. Your business will look better and will provide a safer environment for your guests and staff. We can offer you a free quote on any of our weekly mat rental services! Contact us today to learn more about how we can improve the cleanliness and the safety of your facility with our customized mat solutions.